Get in the mood for a delicious Israel Independence Day. 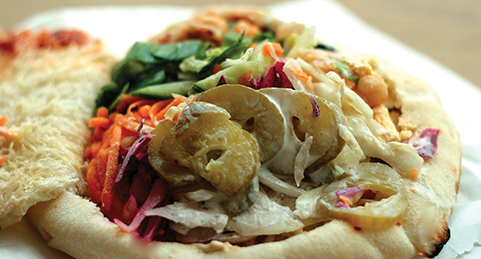 Join Chef Avi Shemtov of the Chubby Chickpea to learn how to create your own modern Israeli street food. On the menu: potato bourekas, schnitzel, sabich, eggplant salad, and masabacha (similar to hummus). It’s easier than booking a flight to Tel Aviv.